The Egyptian Mau Breed Advisory Committee (EMBAC) has been formed in accordance with GCCF Rules. 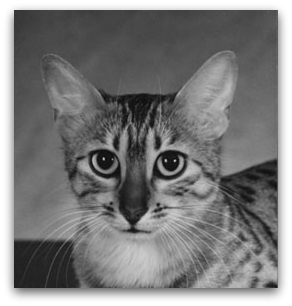 (in our case the Egyptian Mau) by monitoring the training and performance of the Judges on its list and candidates within its Stewarding and Judging schemes; it reviews the breed's Standard of Points and Registration Policy and amends them if and when required, with due consideration for the health and future of the breed. The BAC meets at least twice a year when any candidate on the judging scheme, full judges of Maus and items regarding the health, welfare and integrity of the breed are discussed. affiliated to the GCCF, catering for the relevant breed. In our case, the Egyptian Mau Club is the sole affiliated club for the breed, so the club's committee is also the Breed Advisory Committee but it works under an independent Chairman. The current Independent Chairman of EMBAC is Jen Lacey who is a member of the GCCF Genetics and Executive committees. Once the EMBAC was formed and its Constitution approved by the Executive Committee of the GCCF, no other group will be recognised as the advisory/recommending body to the Governing Council for Egyptian Maus. The EMBAC alone has the right to make proposals to Council relating to judges, standards of points, registration policies etc. The Governing Council delegate for the Egyptian Mau Club is Jean Lamb; she represents the Club and the BAC for us at the Governing Council Meetings. If any Egyptian Mau owner or breeder has a question about the judging of their Mau, they should write to the BAC Secretary giving the name of their cat, the show, the judge concerned and the necessary details. Similarly if there are any questions about the Standard of Points or the Registration Policy then please contact the BAC for advice. Please remember that male Egyptian Maus will be larger than the females and so will not be as elegant. Allowance should be made for jowls in adult males, by gently stroking back the sides of the face, the true head shape can be seen. The Standard of Points describes the features of the perfect cat of a particular breed - in our case, the Egyptian Mau - and is the basis against which a cat or kitten is assessed and judged at shows.